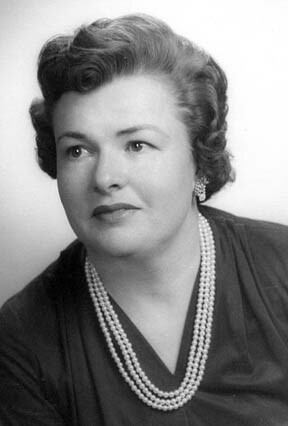 Written by Leon Goodman, Jr.
Margaret Sabin Goodman was born on July 8, 1917. I don’t remember that, but she had a birth certificate from Tucson, Arizona and her mother, Edna Sabin, recorded that in her diary. 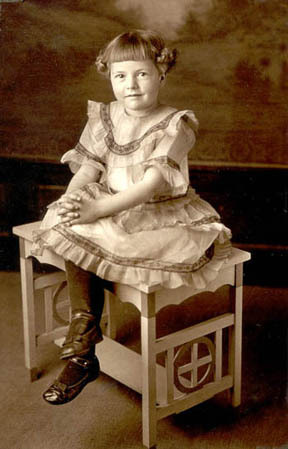 When she was only three months old, her parents took her on a long train ride to California and then to Ogden and Salt Lake where three generations were all sealed together as a family in the Salt Lake temple. Shortly thereafter, Margaret and her parents moved to Deming, New Mexico. They arrived in a snow storm and lived in a railroad boxcar. Her father was a signalman, which meant he knew about electricity and could wire the tracks up so that the engineers on the trains could tell if there were trains coming the other way. Margaret was a pretty girl with a great smile and by the time she was ready for high school the family was living in El Paso where the main repair shops were located for the Southern Pacific Railroad. She loved to dance and she danced with her Daddy. He was a square dance caller and he played the fiddle and best of all, he knew about microphones, amplifiers, and speakers, so he was a part of almost every dance held in his area. Margaret learned to call square dances, too and she got her name in the papers for being a female caller; which must have been unusual to attract attention. She went to El Paso High School and had an athletic coach by the name of Clyde Wafer. He later was the principal of Ysleta High School, where I attended 16 years later, and was a very popular school administrator. Margaret met her future husband at a dance, but he turned out to not be that much of a dancer, although he square danced in the early years. Margaret’s love for dancing was well known among the Church membership and when a dance talent was needed she was often called to help out. She spent over 15 years as a Ward or Stake dance director, learning the dances and teaching young people. She would travel to BYU to meet with Alma Heaton and learn his special methods for teaching. After that, if she couldn’t make the trip, she could read the dances out of the book and teach them so when the dancers went to a dance festival they all knew the same steps, even though they came from different parts of the country. She taught me to dance and later taught me how to read dance notation and I, too, became a dance director in the Church and enjoyed the calling very much. She had four sons and when they began to grow up and be more self sufficient the family moved out of the city and into the country to a small family farm. There were fruit trees, a cow, chickens, ducks, geese, rabbits, goats, and all manner of farm things to do like pick fruit, can or freeze it, milk cows or gather eggs. So, with nothing much to keep her occupied, she decided to get a job. Her career path was sales. The party plan was being invented by a company called Stanley Home Products. It was faster and more efficient than going from door to door like the Fuller Brush or Watkins man. You started by getting as many customers in one house as you could, show them how everything works, play a few fun games, give out products and cheap stuff as gifts and get your next house booked from someone at the party. It was fun, and she could do it, and she could do it well. Before long a truck came to the house every week and delivered 20 to 40 cases of products; which had to be bagged and delivered. Keeping organized was her forte. It was like square dancing. Just tell everybody what to do and they would do it. Soon, she was a manager and she was training other people to do it. She won sales prizes and went to New York and San Francisco and before long there was a new car in the driveway. And this she did while she raised a family and taught the kids at Church to dance. She kept working and then saved enough money to remodel the house, convert a garage to an apartment, and put 50% down on building a two bedroom duplex on the lot they owned next door. Everything paid for itself after that and when it was all paid off they bought another house and on and on. I remember that she was always doing someone’s hair. Some people paid her and some just thanked her and did things in return. I sometimes hung around and fetched water for the thirsty ones. I had given some thought about being a hairdresser since it seemed to be about women taking off some of their clothes and becoming more beautiful. I also thought about being a gynecologist after reading some of her books on medicine. I don’t know where the books came from unless it was from the woman whose hair she did who worked in Mom’s doctor’s office. She advised me to forget hair dressing and take Latin. Doctors needed Latin to go to medical school. I took Latin in high school but somehow got off course when I found out how difficult it would be to become a doctor. Mom seemed to be interested in my friends. She (Santa) got me a movie projector and helped me have film parties and make invitations with my latest printing toys. I always had an interest in printing and she helped me find affordable copy equipment like hectograph gels. Once, when I was in eighth grade, she suggested we have a New Years party at our house. Her only provision was that the kids should clean and wax the hardwood floors in our living/dining room. Some of the girls in my class came over and we waxed the floors the old fashioned way with paste wax. We put on army surplus wool socks and skated around the floor until they shined like mirrors. Then we had a sock hop and played some games and I got kissed on that night. One of the girls I haven’t seen in 20 years reminded me of that party. Mom loved to sew and make all of her own clothes. She didn’t like store bought clothes because they didn’t have enough pockets. Besides, she was short in height and short-waisted so off-the-rack clothes didn’t fit very well. She made dresses for my young daughters and tried to make shirts for me. At first, she used chicken feed sacks; which had flower prints and designs; but some of the people I went to school with noticed that I looked like the sacks their chicken feed came in and so I convinced her that I needed store bought cloth, at least. She tried to make me a sport jacket but thought the lining was an unnecessary luxury so it never felt quite right. I felt guilty about not wearing it. I began to use my own money to buy my jackets after that and told her she did not have to worry about my sport jackets. About jeans we had our differences, too. I preferred Levi jeans with copper rivets and the red tag on the back pocket, but she could find no-name brands that could be worn by girls or boys and they never fit snug enough for me. For entertainment, when her boys were growing up, she worked for a photographer and learned the business. She did the senior pictures for the high schools for years and could get a smile out of almost anybody. I got the impression that she enjoyed all the work that she did except housework. We always had a Mexican maid come in at least once a week and sometimes we had a live-in maid. This was the norm for El Paso in those years, so I don’t want to leave the impression of extravagance. The girls were poor and young and needed to learn English so it was justified to ‘help out’. We tried to integrate the live-in girls and teach them what they wanted to learn. Some were very bright and learned very fast and were ready to move on after only a short stay. Some of the older ones were good cooks and they taught us how to make specialty items like tamales. The whole family learned a little Spanish and we taught a little English in return. Mom became the designated person to care for her parents and her sister, Iva Mae, who lived with diminished mental capacity due to delivery complications at birth. She took over physical care of her mother when her father died and supervised the legal aspects of institutional care for Iva Mae. 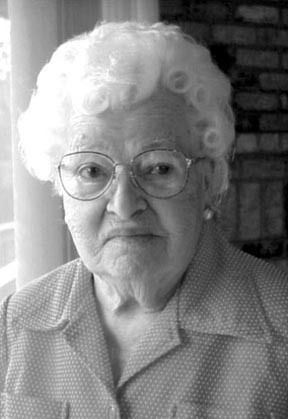 Within a few years Margaret became the sole survivor of her generation. If there was any fault to point out I would say it was an excess of frugality. On their 50th wedding anniversary, my brothers and I decided that they were waiting too long to enjoy the fruits of their labors and bought them a prepaid trip to Hawaii. Mom had learned to save and prepare for a rainy day, but had never learned to enjoy the fruits of retirement. My folks got a motor home, but only took a few trips. In the next ten years my father developed a heart condition and broke his hip. Shortly after that, Mom began to show the first signs of dementia. When I took over her finances at her onset of Alzheimer's disease she had a net worth approaching a million dollars. She did it by living on Daddy’s salary and putting her earnings into savings or real estate. Dad had an eighth grade education and Mom had an eleventh grade education. We moved them out of El Paso to Concord, California to a senior assisted living facility. Mom became increasingly anxious and fell and broke her kneecap in the parking lot of the facility. After requiring 24 hour live-in attendants, we thought it best to move to a small total care home. Dad got a pacemaker but it was too late, his quality of life had diminished so much that his pacemaker turned out to be a curse instead of a blessing. He passed away on December 7, 2000, Pearl Harbor Day. He was born on November 11, 1909 which was celebrated as Armistice Day, now called Veteran's Day, starting on his tenth birthday. It took Mom a couple of years before she stopped worrying about forgetting Dad whenever we went someplace in the car. Mom lives close by us in Boise, Idaho in a special care home for Alzheimer’s disease sufferers. She does not enjoy the good memories of a life well lived. She still recognizes some family members when they visit but shortly after the visit has no recollection that anyone was there. She still enjoys going to church and can distinguish a good church meeting immediately afterwards, but hours later the experience is gone. She has good days and bad days and she can still smile and has the social graces for any visitor.